So this was one of those almost instant makes. 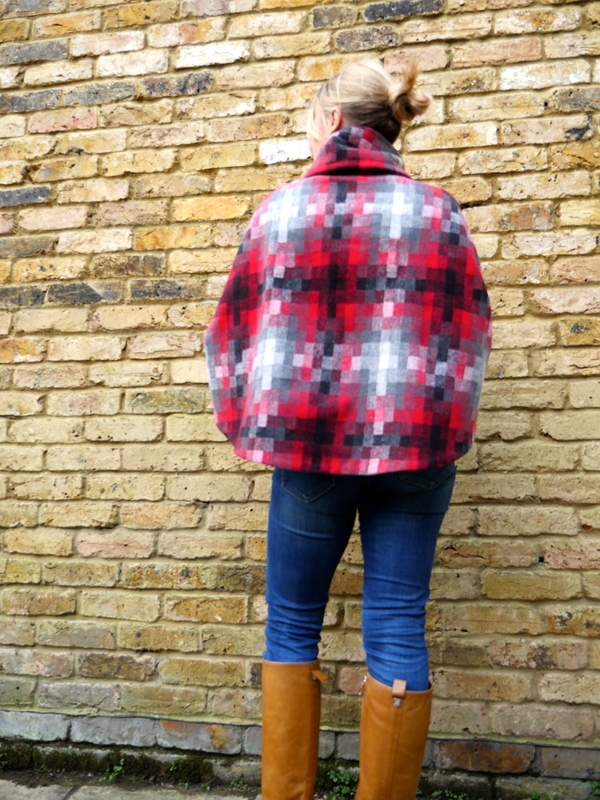 I had eyed up the Popover Poncho by April Rhodes when it was first released but wasn’t sure that my wardrobe had a poncho shaped hole in it, so put it to the back of my mind. Now I know this sounds strange but it was another case of the fabric speaking to me, literally as soon as I clapped eyes on this wool mix I knew it had to be a poncho, and how can you say no to a pixelated wool blend!! So quicker than you could say gaucho I’d bought the fabric , purchased the pdf pattern on the way home (thank you smartphone!!) and printed it off as soon as I got home!! Then after toiling till the small hours, it was almost complete (polished off the hand stitching the next morning). Initially I thought I would pick out the cowl in a nice soft grey wool that I had but as luck would have it I couldn’t lay my hands to it (my fabric stash is a little out of control) and I now think that keeping it in the same fabric works well. I handstitched in the lining of the cowl, which is actually the outer (and visible) part and didn’t want a visible hem that might alter the hang, so faced the hem with biased binding, turned it in and hand stitched it in place, and it seems to work very well. 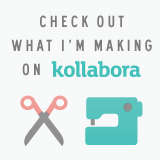 All in all a lovely quick wearable make…very chuffed. 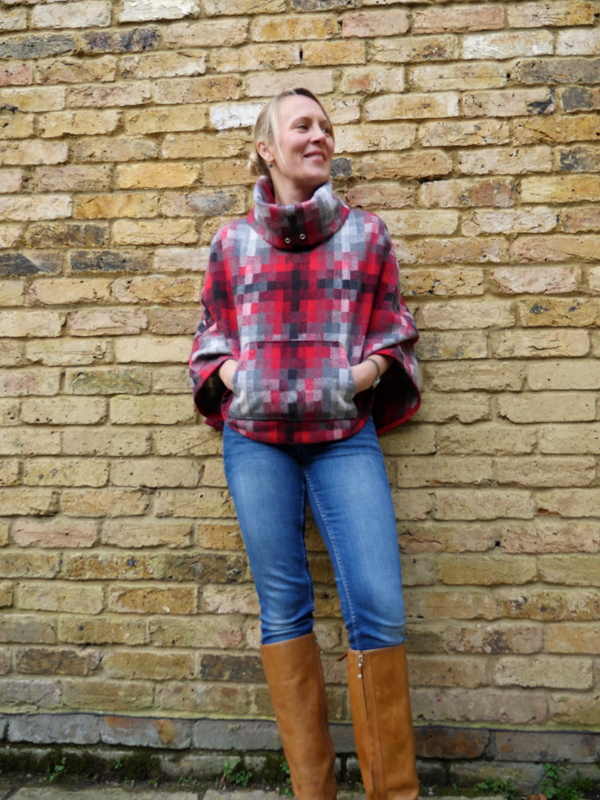 So if you fancy a quick and satisfying make to see you through the transition into spring look no further, I think it would be great in a soft wool or jersey maybe even without the cowl !! !